2016 brought sweeping victories for the Republican Party as they took control of the Presidency and Congress. As the Democratic Party hits restart, the focus turns to the 2018 midterm elections. 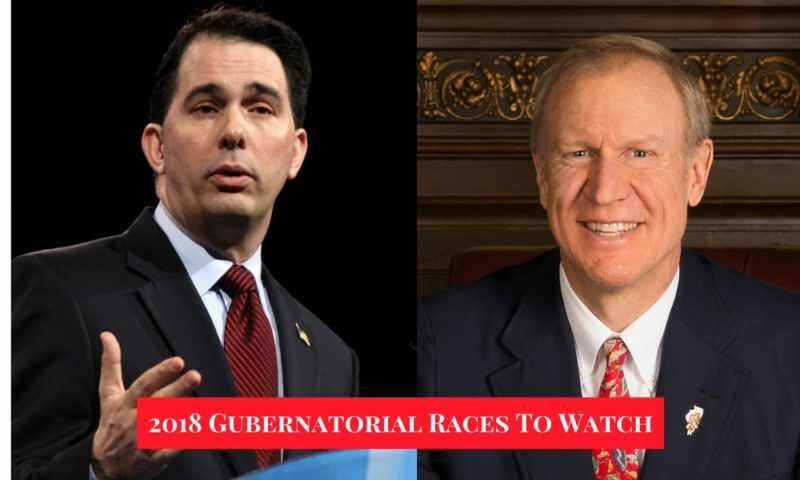 In this article I’ll focus on the 2018 Governor races and break down some of the most critical elections. Though there will be over three dozen elections for governor by the end of 2018, only a handful will be tightly contested. Many high-profile governors have either reached their term limit or are not seeking reelection. For example, Governors Terry McAuliffe (D-VA) and John Hickenlooper (D-CO) are legally unable to seek reelection. Both Virginia and Colorado are traditionally battleground states, which will make these gubernatorial races intriguing with no incumbents in the picture. Another 2018 governors’ election to keep your eye on in 2018 is the race in Minnesota, where Democrat Mark Dayton won’t be seeking a third term. Though the state traditionally votes Democrat in the Presidential election, Minnesota has a unique history with governors. Since 1951, Minnesota has had 13 governors: 6 Republicans, 6 Democrats, and one independent — Jesse Ventura (yes, that Jesse Ventura). The Democrats aren’t the only ones at risk of losing gubernatorial elections in 2018. Scott Walker, Republican Governor of Wisconsin, will have to over come a 39% approval rating if he wants to retain his position. Though, Republicans should be slightly optimistic after Trump’s shock victory in the state in the 2016 election. Perhaps the best chance the Democrats have lies in Illinois, an overwhelmingly Democratic state. The current governor, Republican Bruce Rauner, was preceded by over a decade of Democratic governors in the state. If the Presidential election is any indicator, Democrats should be hopeful winning the governorship in 2018. The state of Nevada should also prove to be a winnable battle for the Democrats. Overwhelming enthusiasm among a growing Latino population carried now-Senator Cortez-Masto and Hillary Clinton to overwhelming victories in November of 2016. If Harry Reid’s Democratic infrastructure remains in tact, the state should have Democratic governor in 2018. 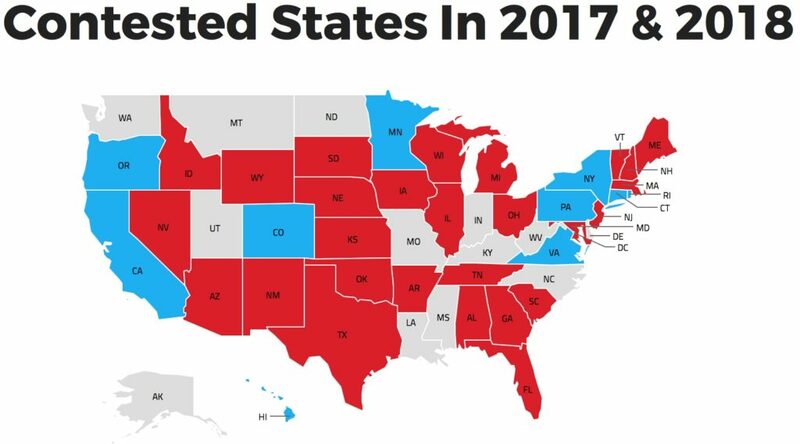 As we get closer to the elections, check back for more updates on the 2018 Governor races!